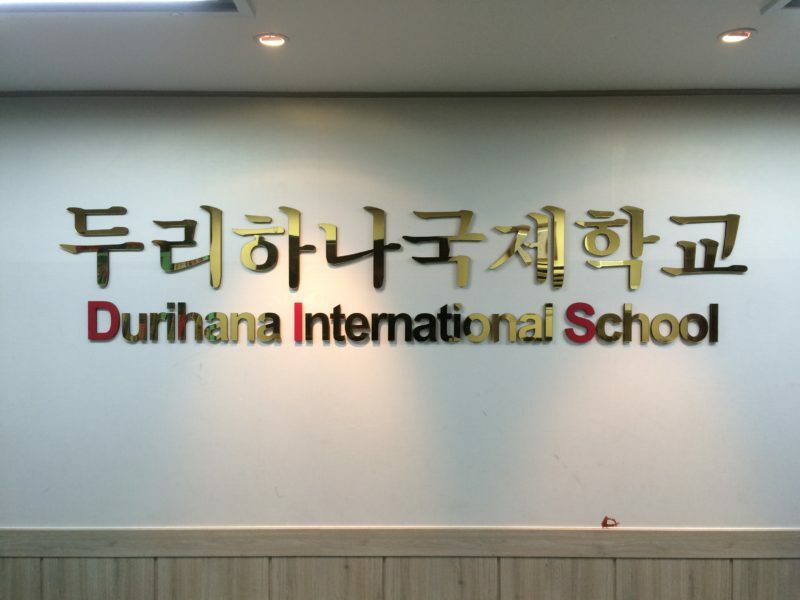 Durihana International School – Durihana Inc. Politicians, pundits, and leaders have talked, consulted, meddled, fiddled and attempted bi-lateral, tri-lateral, multi-lateral, and uni-lateral approaches to dealing with the crimes against humanity that comprise the last 60 years of North Korean history, but all has been to no avail. The only hope for true, genuine, lasting change in North Korea is the Gospel of Jesus Christ. To that end, Durihana runs a boarding school where North Korean children are taught the Christian faith. The life, the walk, and the triumph of faith are all lived out right in front of the children through the staff of Durihana. The children see that God is faithful to answer prayer as food is provided and needs are met in answer to prayer. They see that God cares about them, and they are not forgotten as He provides for their most basic needs. Many of them have lived near starvation for a time. Some do not know where parents or siblings are. Some have seen family members dragged off to labor camps. All are escapees. The trauma they have endured and the effect it has had on them can make teaching them difficult work. The teachers themselves must walk closely with the Lord, and exercise patience and longsuffering with the children. 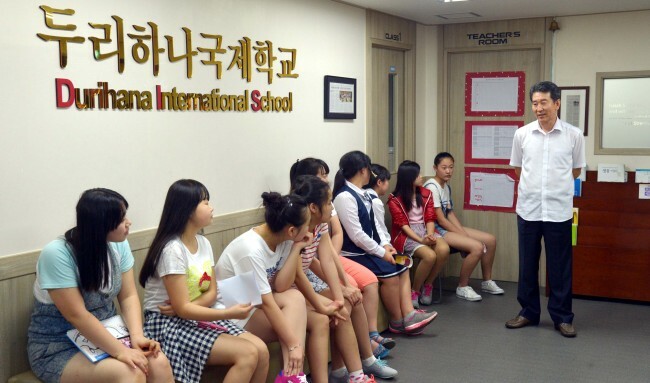 The students begin far behind their South Korean peers in education. It is amazing to watch as God works in them and teaches them, bringing them up to and even ahead of their peers. As they are love to learn, they are also learning to love. As prayer was lifted up for the children in the school for unity among them, an idea was given. It was simple: form a choir. A choir would teach them how to harmonize, and they would have to learn work together. That does not come natural when all you have known is to fend for yourself in order to survive. The first time the choir sang, they sounded horrible! Each student was singing as loud as they could, and all were completely off key. When their singing was recorded and played back to them, they realized how bad they sounded. Over the years, the choir has taught the students how to work together, how to harmonize, how to let others go first. It has been for the students a practical lesson in humility. God has blessed the choir, and they have been asked to sing in front of some of the largest and most prestigious gatherings in South Korea. Since it is only the gospel that can heal North Korea, it is the gospel we must labor to give them. That is the aim of Durihana International School. We want to train up North Korean children in the Christian faith so that they can go and tell their North Korean brethren the gospel of Jesus Christ. We believe that to be the greatest hope in seeing the people of Korea re-unified. We have created a page where you can view our students and read briefly about their lives. This will help you know how to pray for each one of them, and put a face to those you are praying for. You can view our students here. You can also be praying for our staff. While we would love to be able to share their names and faces with you, because of the work they do, we are not able to share that information. May that encourage you to pray for them all the more! Every morning the students rise just after 5:00 am for prayer and a staff led devotion. Then they return to their dorms and prepare for the day. Breakfast is served and then school begins. The children receive a sold, well-rounded education, being trained in all the subjects the would study in a South Korean school. In addition, they are taught the English language, and the Bible. While this sounds and is exciting, it is also very difficult work. Many of the students have seen atrocities most people in the world will never witness.